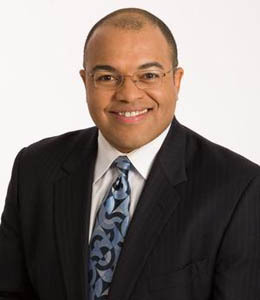 Mike Tirico is a popular Sports Emmy Award nominated announcer for ESPN's presentation of Monday Night Football. He was born on December 13, 1966 in Whitestone, New York, United States as Michael Todd "Mike" Tirico. He was born on Whitestone and raised in Queens, New York. He was raised by her family in Queens. He was also educated there only. His other childhood details are not available. He studied at the Bayside High School and graduated from the Syracuse University in 1988 with a bachelor of arts degree in political science and broadcast journalism. He only the son of his parents father Donald Tirico and mother Maria Tirico. He is the father of two children with his wife. But his children names are not unkown as he doesn’t speak much about his personal life. In 1991 Tirico started his career by joining ESPN as a SportsCenter anchor. For four years at the time while he was still attending Syracuse University he also served at CBS affiliate, WTVH-TV based in Syracuse, New York where he worked as Sports Director. Tirico is notable for his flexible nature and the numerous other assignments that he has managed for "SportsCenter." Back in the days, he covered Thursday night college football package from 1997-2005, college basketball from 1997-2002, and NBA from 2000-present for ESPN and coverage of PGA golf for ABC from 1996-2006. In addition, Tirico hosted several other events for ESPN and ABC which included ESPN's Monday Night Countdown between 1993 to 2001 and ABC's NBA show. in April 2007 Tirico guest hosted by filling in for Michael Wilbon, with Tony Kornheiser on ESPN's "Pardon the Interruption", for couple of times. In the meantime,Tirico is currently broadcasting ESPN/ABC's NBA games and often covers NBA Finals for ESPN Radio. Moving to his radio career,Tirico first worked for WAER radio in Syracuse, New York. He hosted ESPN Radio's "Mike Tirico Show ",which aired from 1-3 p.m. ET during the weekdays. Following the arrival of sportscaster Scott Van Pelt as a co-host on the Tirico Show, The show was then renamed as "Tirico and Van Pelt. "Tirico left the show in 2009, announcing that he would give much time for television,and the show was changed to "The Scott Van Pelt Show." Talking about Tirico's broadcasting partners,for NBA coverage, he partnered with Hubie Brown, Tom Tolbert, Greg Anthony and for PGA coverage he worked with Curtis Strange, Judy Rankin, Paul Azinger, Nick Faldo and Paul.His partners on college basketball coverage included Len Elmore. At present, he partners with Jon Gruden for ESPN's "Monday Night Football.” Tirico had a several controversial moments in his career. He was once criticized for his books , "ESPN :The Uncensored Biography in 2000", and "These Guys Have All the Fun in 2011",for recounting allegations of sexual harassment. He was also suspended by the nework for three months for involvement in several incidents in the nineties. He is married to Debbie Tirico. When were they married it’s still unknown to all the people but they are still together and living a happy life and there doesn’t seem to be any reasons for their divorce. As he is a sports announcer his photos can be found everywhere in the web. There are gallaries of his photo in the internet. He has well maintained height and weight. His height and weight matched him. He always dresses like a professional. His height and weight is still known by the public and the media. His nationality is American and he is of American black ethnicity. His religion is Christian. He is a hardworking and sincere man. She loves his work and is doing a great job. He is well paid from his employers and is very dedicated towards his profession. His yearly salary is $400,000 dollars and his net worth is $3 million. Sports Emmy Award for Outstanding Sports Personality, Play-by-Play, Sports Emmy Award for Outstanding Sports Personality - Sports Event Analyst. He has also received a lot of love from his fans. There are no rumors about him he is having a successful life and is happy with his wide and children.